I can’t remember the last time I ever laughed out loud to a sitcom. And, to be clear, I mean actual laughter. Eyes closed, laughter coming out of my mouth, unable to pay attention to the dialog in the rest of a scene. Even shows like Seinfeld, It’s Always Sunny In Philadelphia, Arrested Development – none of them have triggered the level of laughter this show has. And it seems almost unexplainable. On the surface, Speechless is a network sitcom about a family with a special needs child. On paper, that description might sound wholesome and something a traditional nuclear family would gather around the television to watch at 8/9 central. But Speechless isn’t that. Sure, it’s good hearted and appropriate for families, but it’s funny. It’s really funny. The entire experience of watching the show through it’s two seasons [at the time of writing this, the second season finale has just aired; ABC has not yet announced a renewal], I’ve questioned everything I know about myself and comedy. Why do I find this show so funny? Did my tastes change? Have I just grown so old I’ve fallen into an entirely new demographic that a milquetoast network, family sitcom is geared towards? Speechless is smartly written. When I suggest it to wary friends or try to state my case, I start with this. The writing is smart. This starts with writing well-rounded characters. Compared to ABC’s other family sitcom staple, Modern Family, the characters are built around insecurities. While a Phil Dunphy might be dorky and silly, John Ross Bowie’s Jimmy DiMeo is insecure. Neither of these men are alpha males, but the way they traverse life is vastly different. Dunphy might make a joke with a prat fall; DiMeo will fail at something he wasn’t even trying for. What makes Speechless different from the standard fare is how it presents our protagonists – just a family trying to keep it together and keep their chin up doing it. But what ties it together is the cast. The aforementioned John Ross Bowie’s delivery is… well, I’m speechless. Minnie Driver dances between being a loving mother and an intimidating adversary. As the kids of the family, Mason Cook, Michah Fowler, and Kyla Kenedy show up and deliver. 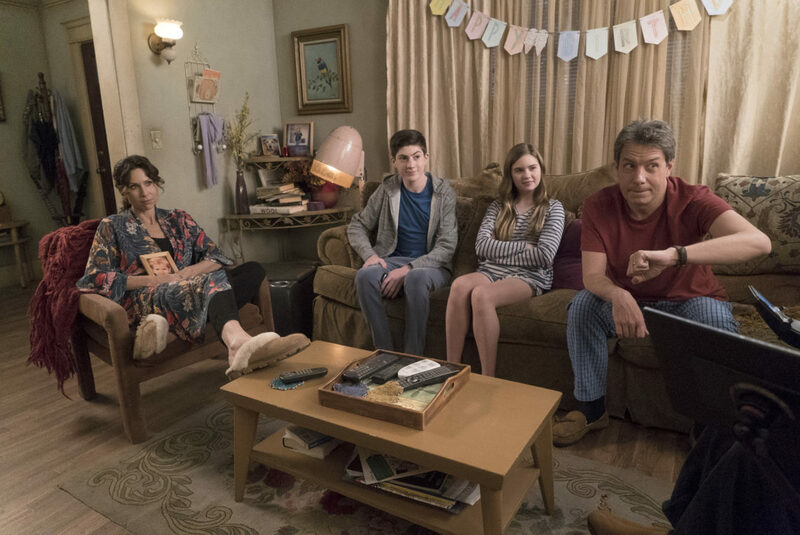 While other sitcoms may treat the younger cast as background furniture, Speechless gives some of the best lines and running gags to the teens. And, of course, Cedric Yarbrough, who can subtlety land a joke with an eyebrow movement. Creator and showrunner Scott Silveri built the series around his relationship with his brother (who recently passed away; the season finale is dedicated to him). While that serves as the basis for the plot of the series, it’s not what makes the show work. Credit where it’s due, Speechless is a smartly written sitcom with well-written characters featuring a cast that nail it. 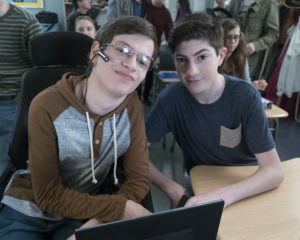 If you’re not yet watching Speechless, you now have two seasons worth of episodes to binge and I promise you it’s worth every second.